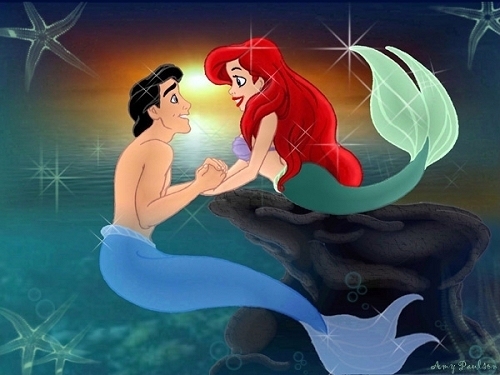 Ariel and Eric. . Wallpaper and background images in the the little mermaid club. But if Eric has blue fins when he transforms who did Melody get her red fins from? Omg!!!! this one is very cute! nice fins on eric I like it alot is one of my top favorite picture!! I love this! I've always wanted to see this.